Earl Sweatshirt Calmly Asks Religious Protestor To "Shut Up, Be Quiet & Go Away"
Home>Music> Earl Sweatshirt Calmly Asks Religious Protestor To "Shut Up, Be Quiet & Go Away"
The guy couldn't take a hint. 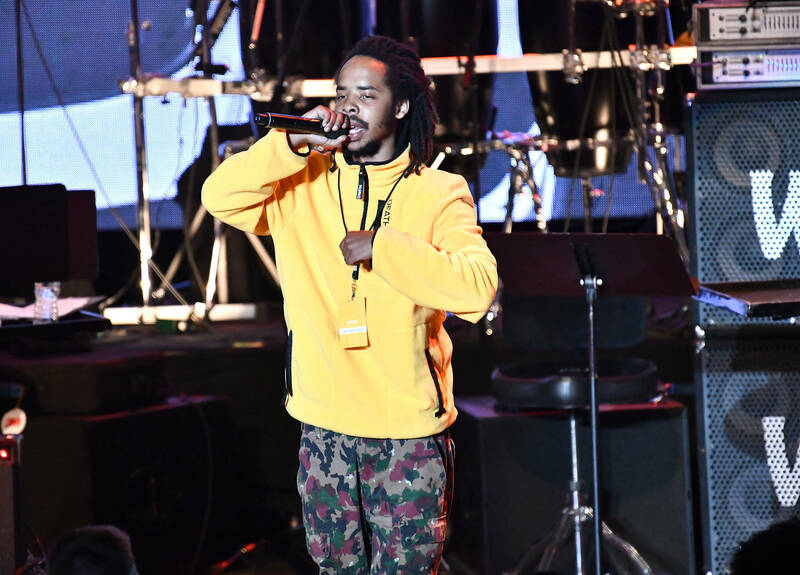 Earl Sweatshirt's recent Denver show brought on one very loud and proud religious protestor who felt the need to preach his heart out to the rapper outside his tour bus. In the video below, shared by a nearby fan, you can see as the sin-preaching man stands on a milk crate and shares his personal beliefs about the Bible and what it commands. "The Bible commands all man everywhere to repent. There comes a day that he will judge you and he will judge you for your sins. Your sins, sir, are going to drive you to hell. You need to repent of your sins and turn to Jesus Christ," the man said. If the man talking over Earl wasn't enough, the woman twerking her heart out makes the video even weirder. Earl continually claps his hands as the man keeps talking, where the "Red Water" rapper finally asked him to please "shut up, be quiet and go away." The video ends before we get to see if the man took a clue and moved on. Earl has been in a confrontational mood lately. We recently posted about the time Earl slapped a fan's phone out of his hand after he attempted to get a photo - Early don't play. MUSIC Earl Sweatshirt Calmly Asks Religious Protestor To "Shut Up, Be Quiet & Go Away"